Let's be real, not all of us have all the time in the world to grind our own coffee to the perfect grind size for making cold brew coffee. Even if we do have some time, we likely have a pretty cheap grinder that gets the job done, but still nothing to write home about regarding the grounds consistency. That being said, I find it totally okay to go ahead and purchase some pre-ground coffee when making cold brew. However, unless you have a coffee sifter to separate the coarser grounds from the fine, not all pre-ground coffee will do. Bizzy carries three flavors in three different sized bags. With almost 400 Reviews at an average of 4.5 Stars you can't go worng with some Bizzy Cold Brew. Stone Street seems to be the fan favorite with almost 800 reviews with 4.6 Stars. With amazingly rich and bold flavors with dark chocolate notes, you may have to go with the 5 pound bag. We love how this company is carbon negative. Part of the profits from every bag sold go toward reforestation in Ecuador. Oh and the coffee tastes great too. At almost 500 reviews averaging 4.2 Stars you can be sure Tiny Footprint cold brew coffee will make you feel good in more than just a caffeine high. The coffees work great with our TUBE Cold Brew Coffee Filter for Ball Mason Jars. Give them a shot and let us know what you think. The article is a couple weeks old so forgive us if you've already seen it but we just had to share. This guy has taken his AeroPress travel kit to a whole new level. The best part about this kit in our opinion is the AeroPress Filter of choice. That's right! The MESH AeroPress Filter is featured in the main photo, mentioned in the article and he even links to our amazon listing. Check out the Outside Online article here. 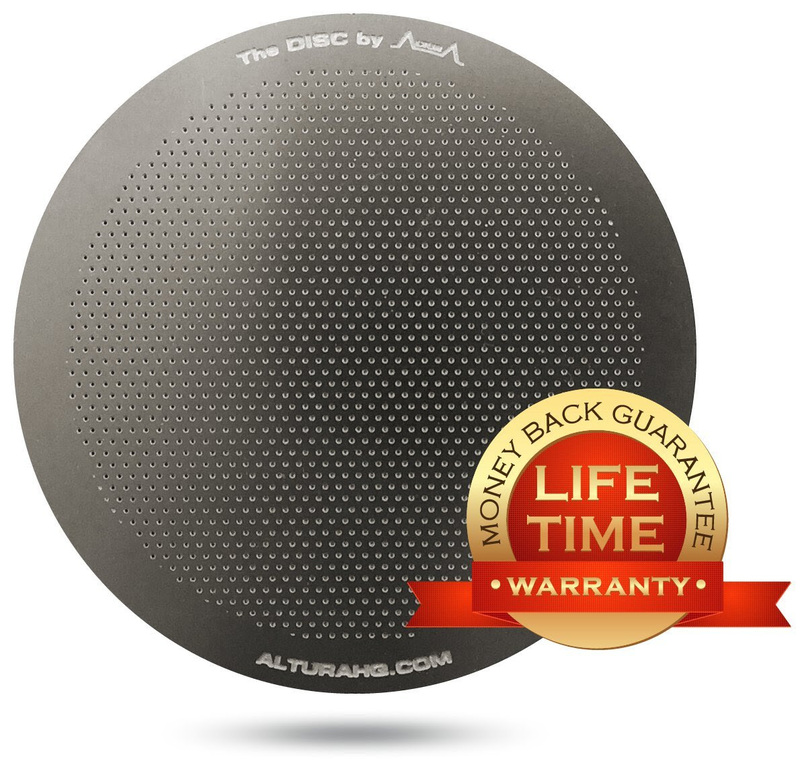 KINJA DEALS gives The Mesh: Metal Filter for the AeroPress a shout out! 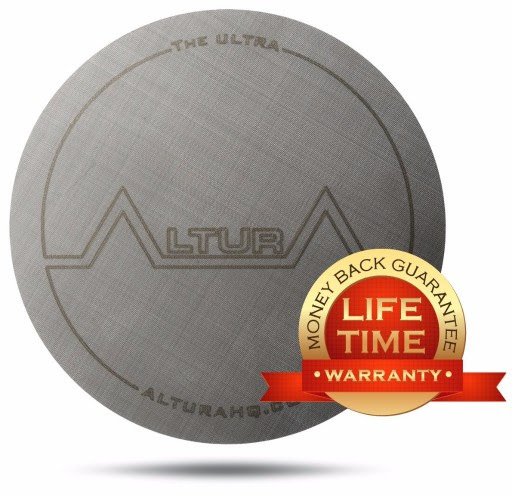 Did you know that ALTURA has 3 different types of filters for the AeroPress? Whether you like to brew with coarse grinds and long steeps times or super fine grinds and shorter steep times, ALTURA has you covered. All of our filters are available on amazon.com where you can get FREE two day shipping as a PRIME Member . Add another filter to your AeroPress kit today! Crafted from ultra-fine stainless steel fabric, this grind minimizing filter will amaze you the first time you see it. Our Most durable and easiest to clean. Great for brewing bold, rustic and strong coffee. Anytime we stumble upon an article that gives the AeroPress some recognition we cannot help but to share it. We are amazed when talking among friends and family how many people still have not heard of the AeroPress yet. It is fair to say that the AeroPress is nowhere near its peak in popularity. Pretty soon you will be seeing AeroPress coffee makers in hip coffee shops every where just like you see the V60 pour overs. Look who's #1! That's right. The AeroPress! 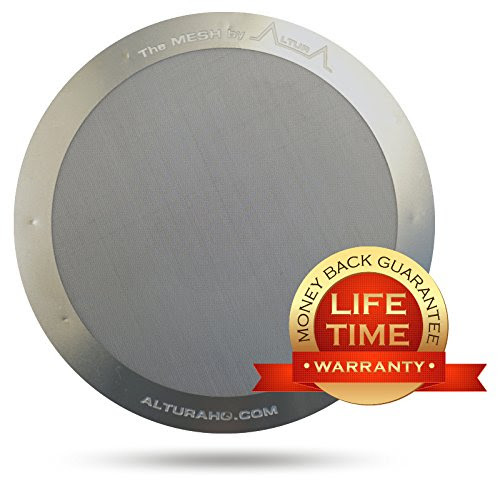 Here at ALTURA we have 3 different types of AeroPress Reusable Metal Filters. The DISC for coarser grinds, The MESH for finer grinds and The ULTRA for all grinds. Today we are going to run a special on all of our AeroPress Reusable Metal Filters in honor of this article. Use code SUNSET at check out to save 15% at checkout. Sure enough, it makes sense why the recipe won the World AeroPress Championship. We love how it calls for the inverted method as we find that is the best way to brew with all of our AeroPress metal filters. Go ahead and give it a shot. If you think its good with a paper filter you gotta give it a try with the ULTRA. Kill The K Cup from Charles Wahl on Vimeo. Switching to the AeroPress and using an AeroPress Metal Filter will completely eliminate the creation of any trash while making a cup of coffee. So I think its fair to say that you won't be seeing any Kill The AeroPress videos anytime soon. Did you know that you can make an awesome cup of loose leaf tea with your AeroPress? Using the inverted brewing method, add your loose leaf tea of choice into the chamber, add hot water and stir, place your Mesh AeroPress Metal Filter over the chamber and lock it in place with the cap. Let it sit for about 4 minutes and flip it over to press a fresh cup of tea. Note that this is only possible with The Mesh: Aeropress Metal Filter. You cannot use a paper filter because the loose leaf stems will tare the paper. Not only that but the paper will filter out too much of the teas flavor.